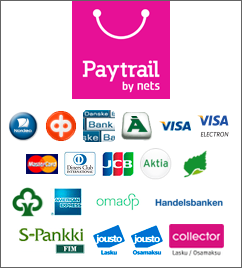 Tämä tuote on lisätty keskiviikkona 18 huhtikuuta, 2012. Use the Phoenix-35 when you need more power from your medium sized motors, or are looking for the best brushless controller for your heli. From 3-4 pound sport flyers to helicopters, the Phoenix-35 has the capability and smooth reliability you need. 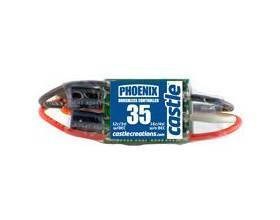 The Phoenix-35 gives you the flexibility you've come to expect from Castle Creations controllers. With a total of 7 user-programmable features this speed control has it all! Size 0.95 x 1.72 x 0.4"